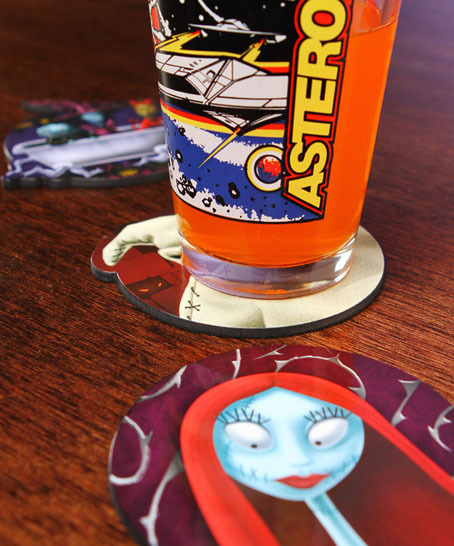 Are you in need of a cool set of coasters for those Atari Pint Glasses? 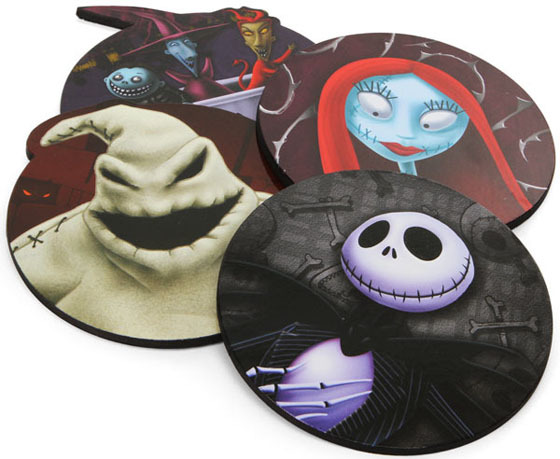 How about The Nightmare Before Christmas Wooden Coaster Set which includes: Jack Skellington, Sally, Oogie Boogie Man, and Lock, Shock & Barrel. 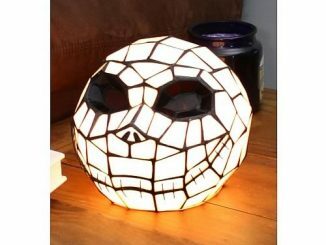 Before you know it, summer will be over and Halloween right around the corner. 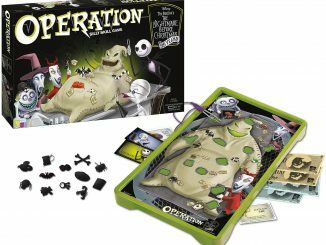 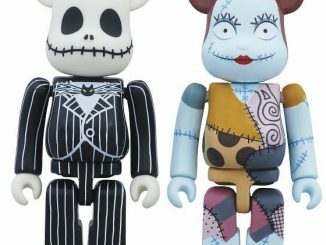 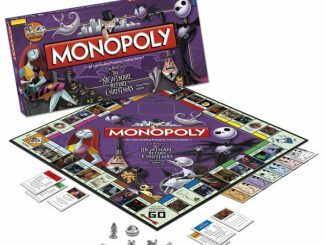 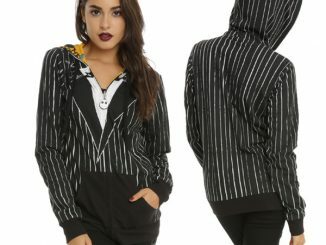 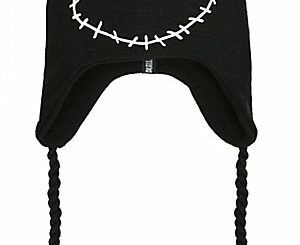 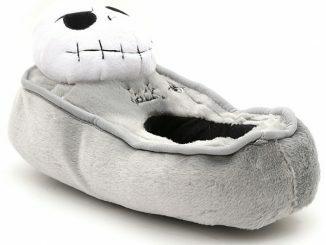 Be prepared and let Tim Burton’s Jack Skellington, the Pumpkin King, and all his friends from Halloween Town out to play. 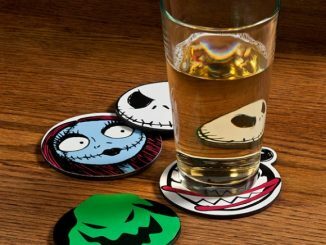 These wooden coasters are perfect for Halloween parties and fans of The Nightmare Before Christmas movie. 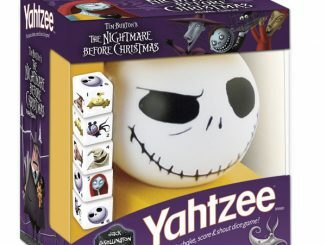 Sandy Claws will add you to the Naughty List if you leave a ring on the good table! 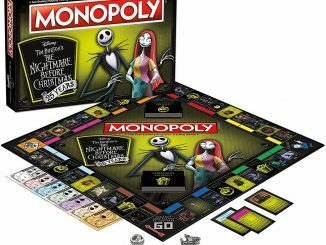 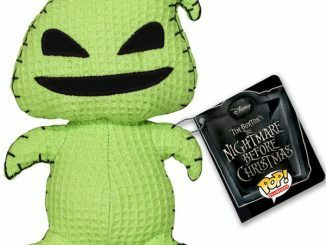 You can purchase The Nightmare Before Christmas Wooden Coaster Set at ThinkGeek for $9.99 and don’t forget to checkout the other cool Nightmare Before Christmas Collectibles: Monopoly and Trivial Pursuit.